Challenging the No.1 lowest price in this field! 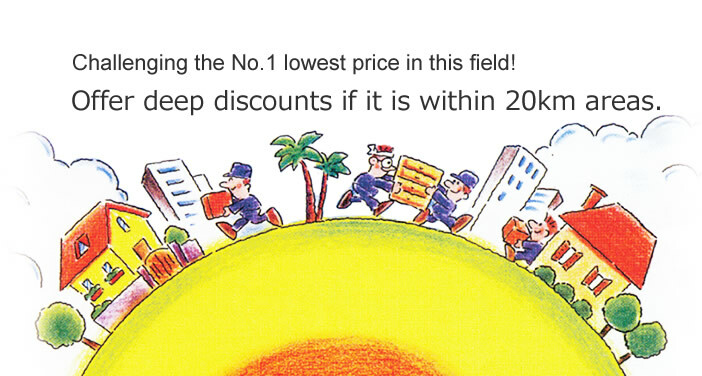 Offer deep discounts if it is within 20km areas. The Best Moving Service is in response to your varied requests to meet customer needs such as from a single-person’s moving to a relocation of an office and a moving with fewer packages. with the least cost.A person who can talk over the moving day and the time. Leave from carrying-out to carrying-in up to our company.This is a basic plan. You can apply small packings for a separate fee.A customer unpacks small things. This is most fitted for a too busy person and leaves everything to us. What the Best Moving Company can challenge the lowest price in this No.1 business field is the thorough “on-site force” and the service development we have carried out to meet various customers’ needs so far. In case an estimation of other companies is lower. We challenge the fee and achieved the lowest price No.1! Total support from moving to collection of unnecessary recycle goods. To respond to any moving. We can respond to any moving from delivery of small quantity to moving offices and foreign relocations Options are fully available. We have made a simplified chart of four plans the Best Moving Service offers which tell us what a customer and our company do. Please look at it for your reference. Each plan introduces more details. 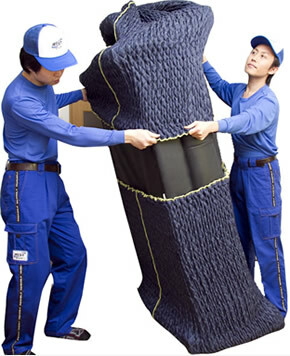 We, Best Moving Service, started business as a devoted moving company in Higashi Osaka. At present, we have branches from Tokyo to Fukuoka aiming at offering better services every day. We consider it to be the most important to receive a repeated request from a customer once used us and we are endeavoring to do a compassionate response to our customers from a receptionist to receive telephone to an estimation staff, front-line workers who actually carrying out moving job. Free estimates with no obligation. First, make a phone call or e-mail us. When you decide moving, please proceed your packings.If you leave it to us, our staffs operate carefully.For small packings, consulting to us is separately necessary. Our staffs carry out baggage carefully from an old house to a vehicle after taking care of the baggage and buildings with dedicated protection materials. Our driver reliably and safely transports your baggage to your moving place. We cover with protective materials (taking care) when carrying in and carrying out so that household goods and buildings may not be flawed. 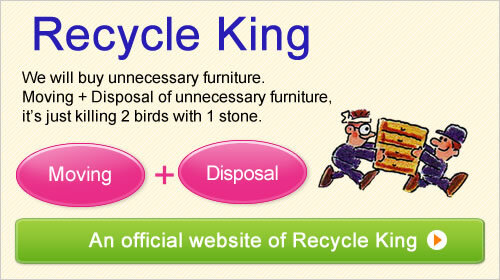 Our staffs will carry baggage to the room.Please consult us if the disposition of furniture is not decided. Our staffs will install the moving baggage to your specified places. We will unpack the baggage. If you leave it to our company, our staffs will carefully operate, which saves your handlings. For those who are busy customers, an optional service of cleaning is available. Please ask our staff in charge of sales section for more details. Even for those people outside of 20km area, if it is within a business office area, it will be a discounted area! Please confirm with a following map. The blue color areas are corresponding areas. © BEST SERVICE All Rights Reserved.